James C. Ramey, age 27, of Toledo appeared in court for arraignment and pled not guilty on April 20 to the twenty two count indictment charging him with various counts related to the death of Amanda Mangas. Ramey was indicted on April 17 on one count of receiving stolen property, two counts of aggravated burglary, two counts of murder, two counts of aggravated murder (with death penalty specifications), one count of attempted murder, one count of felonious assault, one count of aggravated robbery, one count of violating a protection order, four counts of abduction, six counts of kidnapping, and one count of possessing criminal tools. The indictment alleges that on or about March 14, 2017 that Ramey, with prior calculation and design, caused the death of Amanda Mangas while committing or attempting to commit aggravated burglary, kidnapping, and trespass in a habitation when a person is present or likely to be present. Mr. Ramey also allegedly by force or threat abducted a child and an adult and restrained their liberty under circumstances which created a risk of physical harm to them. He also allegedly caused physical harm to Deborah Mangas by means of a deadly weapon. Finally, the indictment alleges that Ramey violated a protection order and allegedly possessed a stolen firearm. The charges come in relation to the Amber alert received by many in the surrounding area on March 14. The 911 call made from Deborah Mangas, who it is alleged that Ramey had also kidnapped, led authorities to find 23 year old Amanda Mangas suffering from a gunshot wound. Evidence found at that time also led authorities to believe that 10 month old Winston Ramey, the son of Amanda Mangas and James Ramey, had been abducted by Ramey. Amanda Mangas was pronounced dead shortly after her arrival at the University of Toledo Medical Center. James Ramey, Deborah Mangas, and Winston Ramey were located approximately 150 miles from Delta in Fulton County, Indiana after a traffic stop without incident. Original reports indicate that authorities believe that Ramey was traveling to his mother’s residence in Illinois at the time of the stop. 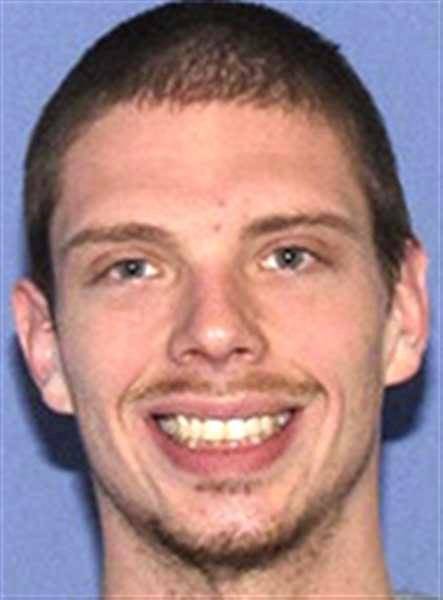 Ramey was arrested and extradited to the Correction Center of Northwest Ohio at that time. Be the first to comment on "James Ramey Pleads Not Guilty On Charges Related To Mangas Homicide"